The gold standard in airsoft support weapons, the Asahi M60 series guns are still a common sight on Japanese skirmish fields to this day. Legendary durability, excellent recoil, and massive power are all hallmarks of the line. If you are interested in an item that has already been sold, please contact us as we may be able to get you something similar on a special order basis. Asahi M60E3 SDX "Super Deluxe"
Asahi M60E1 DX "Super Custom"
Asahi M60E3 DX "Super Custom"
The most prolific of all classic airsoft companies, with the broadest range of guns and aftermarket accessories available. From the skirmisher on a budget to the collector who demands a museum quality replica, JAC has all bases covered in their extensive product line. JAC Micro UZI "Delta Special"
Known best for replicas of more obscure weapons as the SITES Spectre and IMI Galil, FTC is well respected for the numerous technical innovations present in each of their guns. With the legendary Tanio Kobayashi as their head designer, MGC has long been respected as producing some of the most exciting airsoft replicas for both players and collectors alike. With a design philosophy of making player oriented guns, Maruzen wound up creating some of the most realistic and powerful skirmish weapons were also great bang for the buck. 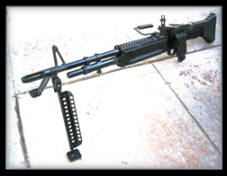 Beautiful examples of classic airsoft guns from various other manufacturers. uses Marui magazines, comes with CO2 remote! 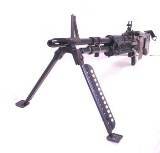 Some truly outstanding custom airsoft guns from the modern AEG period at exceptional values.